Cadet Simone Askew made history in August 2017 when she became the first African-American woman to lead the Long Grey Line. Askew was selected First Captain of the U.S. Military Academy’s Corps of Cadets for the 2017-2018 academic year, and assumed the post on Aug. 13, 2017. First Captain is the highest position in the cadet chain of command at the storied West Point. As First Captain, Askew is responsible for the overall performance of the approximately 4,400- member Corps of Cadets. Her duties also include implementing a class agenda and acting as a liaison between the Corps and the administration. Askew is an International History major from Fairfax, Va. Prior to assuming her duties as First Captain, she led 1,502 cadets as the Regimental Commander of Cadet Basic Training II. Outside of the curriculum, Askew spends her time developing leaders as the cadet-in-charge of the Elevation Initiative. Moreover, Askew has travelled to Washington, D.C., California, Virginia, and New York to facilitate conferences on leadership, ethics, and STEM to middle and high school students. As co-founder of the Joint Service Academy Mass Atrocity Prevention Symposium, Askew has also organized an annual conference since 2016 at the United States Holocaust Memorial Museum. This program allows cadets and midshipmen to present their research of historical genocides and further discuss the essential steps toward future prevention in the light of military endeavors. Askew is a graduate of Air Assault School, an EXCEL Scholar, a member of the Phi Alpha Theta Honorary National History Society, a recipient of the Black Engineer of the Year Award for Military Leadership, and holds the highest female Recondo score during Cadet Field Training II for the class of 2018. Additionally, Askew was the President of the Cultural Affairs Seminar in 2017 and a high school Young Life leader for West Point youth. 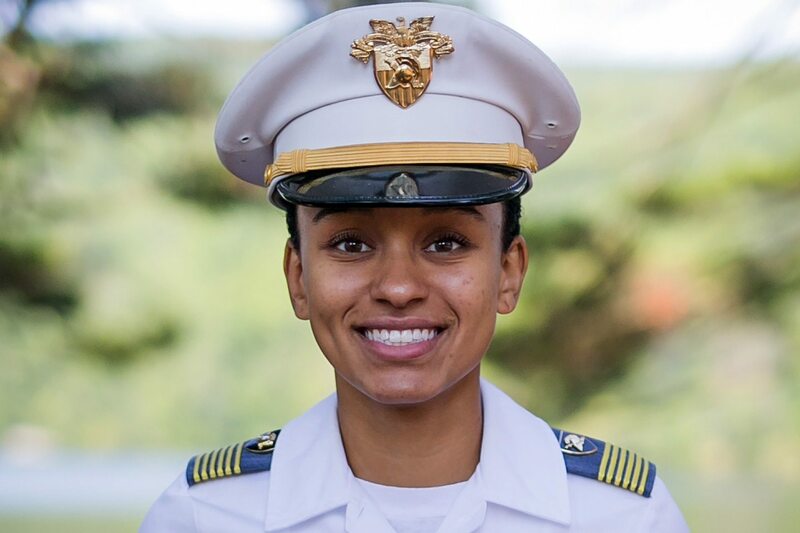 Askew was awarded a Rhodes scholarship and is the first African American female to be selected by the Rhodes Trust from West Point. After her commissioning as an Engineer officer in May 2018, Askew will study women’s studies and social intervention at Oxford.